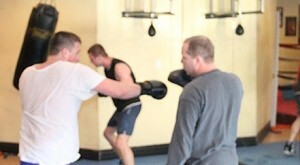 At Golden Gloves Fitness our commitment is that everybody should live a healthy, pain free, and energetic life. At our fitness gym in Vaughan, we know that Health is Wealth. Without a good physical posture, we don't have much at all - we can't work well, spend enough time with our families, or enjoy our daily lives when we don't look and feel great! Health literally impacts every aspect of our life: our energy, work, mental functioning, vitality, relationships, and so much more! The body we were given is a vehicle that allows us to create and attract anything we want - it is necessary to make it our priority. We must maintain and take care of our physique. We do not only believe this as our core teaching, but after decades in this industry, we KNOW it to be true. Health truly is our Passion at Golden Gloves Fitness. To live your best life, your health must be at its most optimal functioning! Golden Gloves Fitness has been operating since 2006 in the Woodbridge/ Vaughan area. We also serve the rest of Vaughan and areas including but not limited to: Richmond Hill, Thornhill, North York and the Greater Toronto Area. Since we're located in the central region of the GTA, we're easy to get to from the 400 series highways. Time flies, we have been in the health, fitness and wellness industry for a couple decades now and we know that every individual is different and with unique sets of needs. This is why we keep a variety of services available to you at our gym and we make sure to constantly challenge our client's minds and bodies, so that they can feel at their best performance. With our expertise, we know that we can enable you to achieve all of your goals. Let's face it together; it is not an easy journey and our commitment is to prepare you to achieve your most desired physical potential! Our gym has several certified professional instructors that have a wide range of expertise and specializations to fit your exercising needs. We're more than just a Gym. 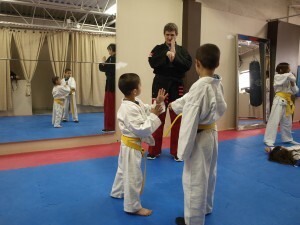 Our instructors offer fitness services including (but not limited to): professional boxing, personal training, Tai-Chi, fitness precision training, physical training, intense boot camp training, MMA, & Karate. We also offer stretching instructions, recreational wellness guidance, nutritional counseling, weight loss services, reiki practice, muscle conditioning & repair, products to support your health (such as protein), progressive alternative medicinal methods and as well as other programs. We make sure to stay on top of this industry's trends and bring them to the marketplace before other health & wellness facilities. We constantly have new amazing offers, promotions, and programs. We stand for integrity, honesty, and fairness for all of our valued customers. At Golden Gloves Fitness, we are committed to ensuring that people of all ages, shapes & sizes, physical abilities lead healthy and active lifestyles. We know everyone is unique, so we customize every program to suit each individual's needs despite of age or physical & mental abilities, we are here to help you! We would LOVE to serve you! To find out more information about any of our programs and services we provide, please do not hesitate to continue visiting our website and/or contacting us directly by phone at: (416) 569-9381. We're looking forward to meeting you, and creating an exciting new future of health, beauty, and wealth for you and the people that matter to you - your life will never be the same, our promise is our guarantee! With more than 4 instructors and multiple services we are here with the goal of being productive, efficient, and to deliver fast results. At our fitness and wellness center, we customize classes to each and every individual because we know that every person is unique.